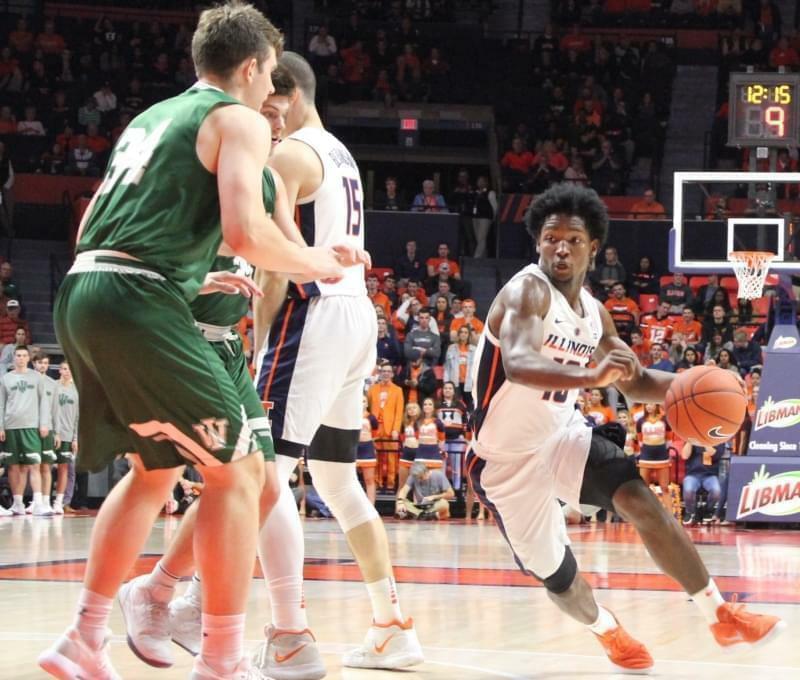 The Fighting Illini men’s basketball team rallied from a 13-point second half deficit, but came up short in their upset bid against #3 Gonzaga 84-78 in the first round of the Maui Invitational. 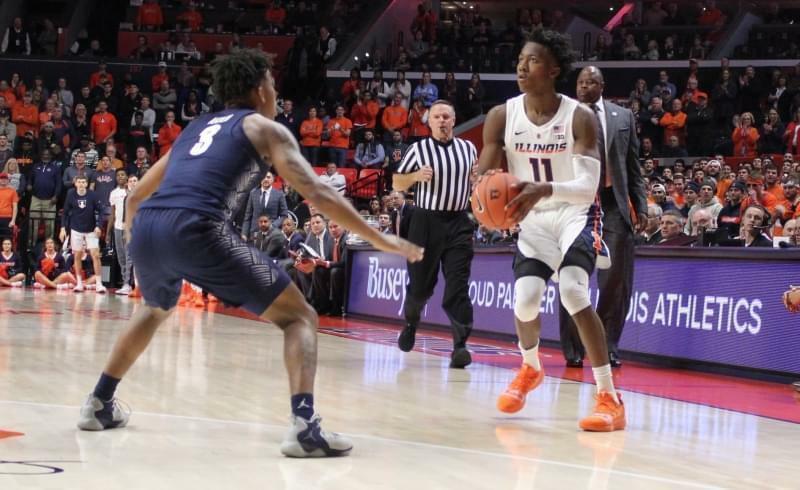 Sophomore Trent Frazier scored 27 of his 29 points in the second half to lead Illinois. It was Frazier's first game since suffering a concussion in practice last week. Giorgi Bezhanishvili added 17 points for Illinois. He and Frazier said they were propelled by a vocal, orange-clad crowd at the Lahaina Civic Center. "It felt like State Farm (Center) in here tonight," Frazier said. "These Illini fans are amazing. It doesn't matter, we're in Hawai'i, they're going to be here." "I can say we probably have a top five fan base in the nation," Bezhanishvili said. "They're just great, and we really appreciate it." Aaron Jordan and Da'Monte Williams fueled the defensive effort with 10 and 9 rebounds respectively. Coach Brad Underwood said a switch to zone defense helped bring his team back from a 13-point deficit. 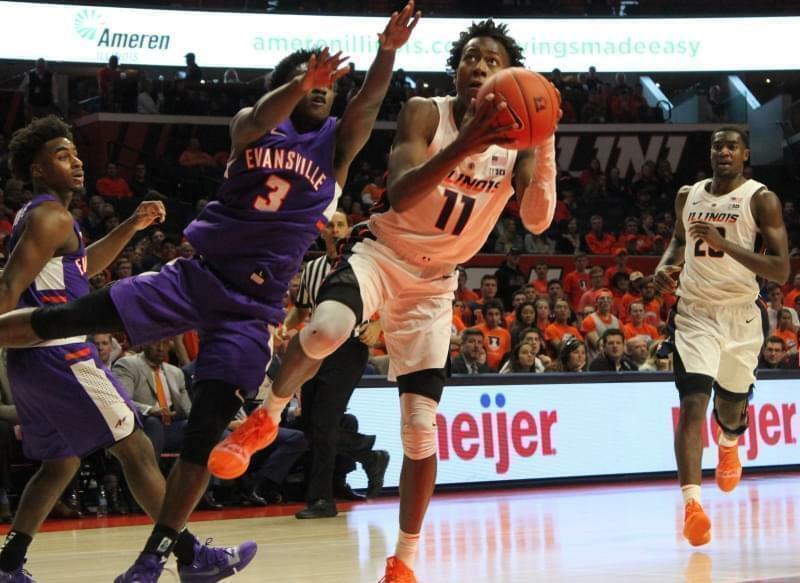 "Our little three-quarter court press, our little half-court 1-3-1 seemed to disrupt the rhythm, and we felt like we could really turn them over," Underwood said. "(They) turned over 14 times the first half. The second half it just came in a different method with our zone." 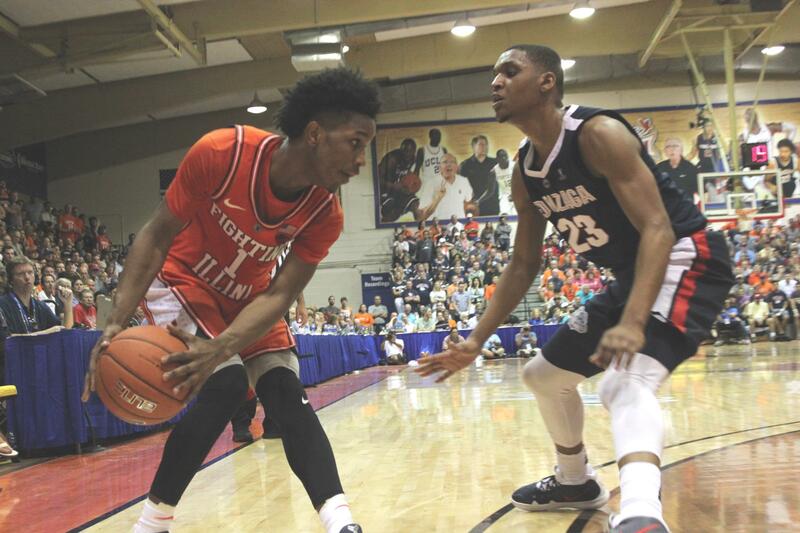 For the game, Gonzaga turned it over 22 times, compared to just 13 for Illinois. The Bulldogs made up for the turnovers by shooting 53 percent from the field. Rui Hachimura led Gonzaga with 23 points. Chicago product Zach Norvell added 15 for the Bulldogs. It's a quick turnaround for the second round of the Maui Invitational. The Illini face Iowa State today at 4 pm central time in the consolation bracket. Gonzaga will face Arizona in the semifinals tonight.